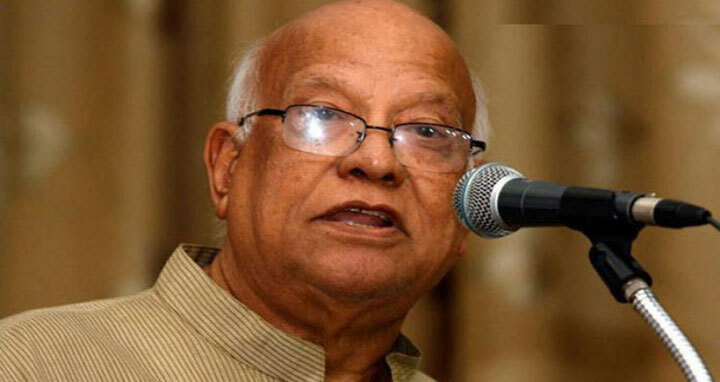 Dhaka, 5 Mar, Abnews: Finance Minister Abul Maal Abdul Muhith said, "Bangladesh Jamaat-e-Islami has no right to stay in Bangladesh as the party is the enemy of the country." "The anti-liberation force is again hatching a conspiracy to push the country towards anarchy," he said. The finance minister came up with the remarks while speaking at a meeting with the officials of BCS Economic Cadre Association at the secretariat on Monday following the attack on eminent writer and educationalist Prof Muhammed Zafar Iqbal at Shahjalal University of Science and Technology (SUST) in Sylhet.